Dala Neon Craft Paint is a quality art product that is popular amongst artists and crafters. All colours offer superior hiding power and dry to a durable and satin sheen waterproof finish. 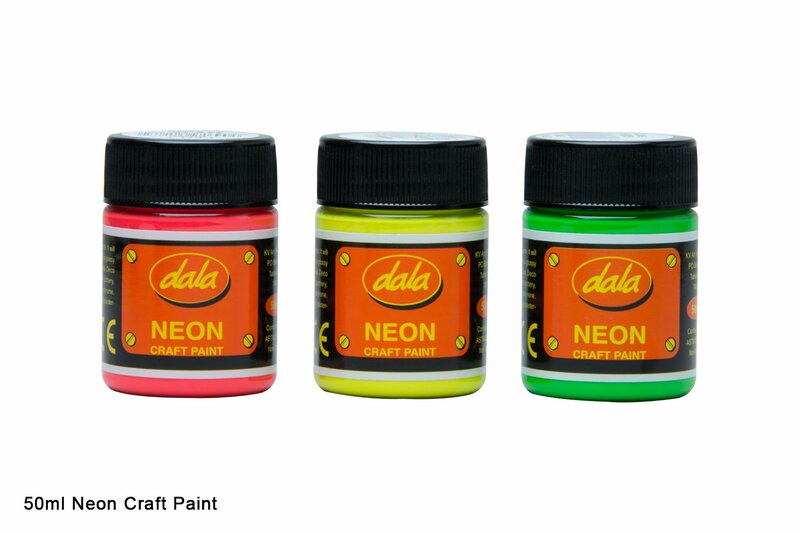 Due to its built in UV resistance, Dala Craft Paint can be used indoors and outdoors. Available in 5 bright colours. 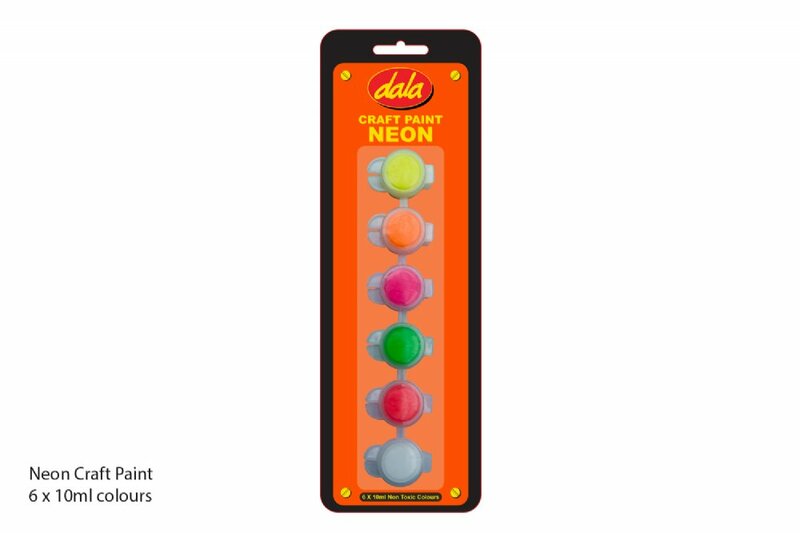 Dala Craft Paint is perfect for school, home and studio use. As well as outdoors and under UV lights. This item has 1324 views.